Tag Archives for " Varun Ramesh "
0	Geo-Targeting Can Skyrocket Your Conversion Rates! As the internet continues to grow at an exponential rate, the average web user is overloaded with a vast amount of information. Website owners only have a few seconds to convince someone that the content on their website is worthwhile reading before the visitor moves on. While there are many methods of engaging your visitors and increasing conversion rates, one that is hardly spoken of but is used by all the big players is ‘Geo-Targeting’. Geo-Targeting in simple terms refers to targeting a visitor based on their geolocation (country, state or city). It involves dynamically delivering web content so that it is highly related to your visitor’s location. Relevant information is the key in catching a visitor’s attention and improving engagement. People are naturally drawn to events and deals that are happening around them. By Geo Targeting your website’s information, your visitors will feel more comfortable and familiar with the content displayed. This will not only enhance their browsing experience, but it will increase trust, separating you from your competitors. A simple example of geo-targeting web content is dynamically altering phone numbers based on a visitor’s location. Having a phone number right on top of the website is a great way to improve call through rates for your business. However, as this space is prime real estate, it only makes sense to display the relevant phone number to the visitor. Geo-targeting can avoid having to display a long list of phone numbers in your website’s footer or on a separate page altogether. Displaying popups on your website based on a visitor’s location is a great way to target promotions. Let us take a restaurant business, for example, that has several branches spread around the country. Each branch could be running a different deal. The branch in Los Angeles is offering 10% off all burgers. The branch in San Francisco could be offering half price Tuesdays and so on. Using a single website, the restaurant can display the relevant deal to each of its local audiences in the form a popup. 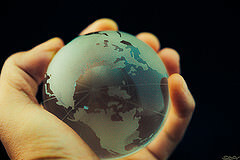 Global companies often have multiple versions of their website tailored to suit each country with a country level domain (.au, .co.uk, .fr, .my, etc.). Having a local domain can greatly increase trust and relevance. It also makes it easy for the company to completely tailor the website to suit the local audience. Most of these global companies utilize automatic URL redirection to the local domain based on the visitor’s country. This is called geo redirection and it is the most widely used geo-targeting technique. 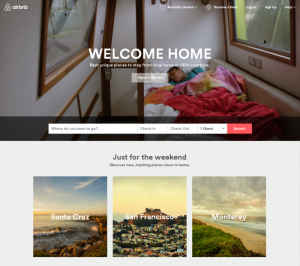 Below are screenshots of Airbnb.com taken from California and Singapore respectively. You will notice the 3 accommodation images when viewed from California are Santa Cruz, San Francisco, and Monterey, all of which are located in California. 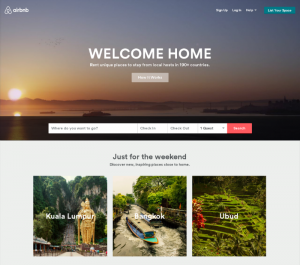 When Airbnb.com is accessed from Singapore, the images automatically show accommodation in cities from countries neighboring Singapore. This is a perfect example of how a large organization utilizes Geo-Targeting to display relevant information to their visitors. How To Geo Target Your Website? Geo-targeting is a severely underutilized technique not only because of the complexity but the cost of implementation. First off, in order to obtain a visitor’s geo location accurately and non-intrusively, you will require an IP to location database which converts a visitor’s IP address to a usable location. These databases don’t come cheap and they need to be updated frequently. Implementing such a database and writing code in your website to create rules for delivering content, popups and URL redirects based on location will require an advanced level developer making it unaffordable for most small businesses. Or, you can choose to work with a more cost-effective and simple software solution that doesn’t require the complex IP tracking technology. Once you’ve installed a system to pull the location of your website visitors, you’ll then be able to examine your traffic and strategize the best ways to geo-target them with special offers, varied verbiage, etc. 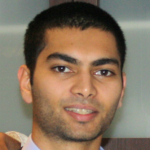 Varun Ramesh is the founder of Geolify and previously an automation engineer in the mineral processing industry. He is now passionate about ‘automation for websites’ as the internet becomes more intelligent and dynamic in nature.